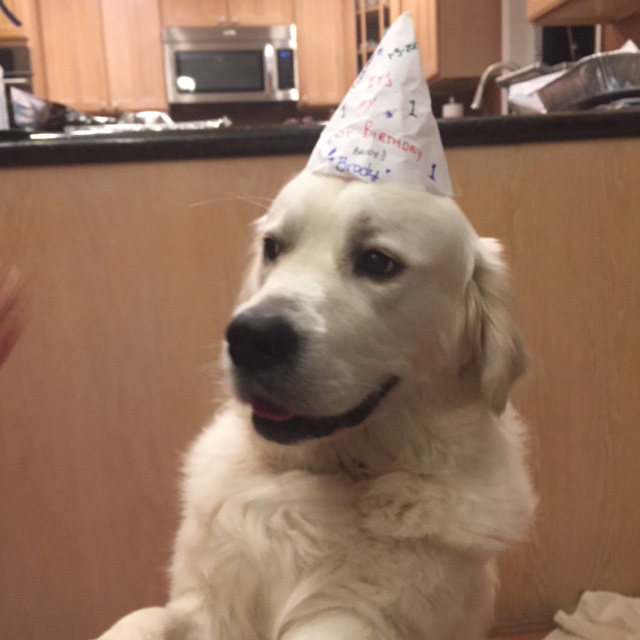 Hello…here is Brody getting ready to dive into his birthday steak dinner. It’s hard to get him to sit still 🙂 he loves to sit up on his hind legs. 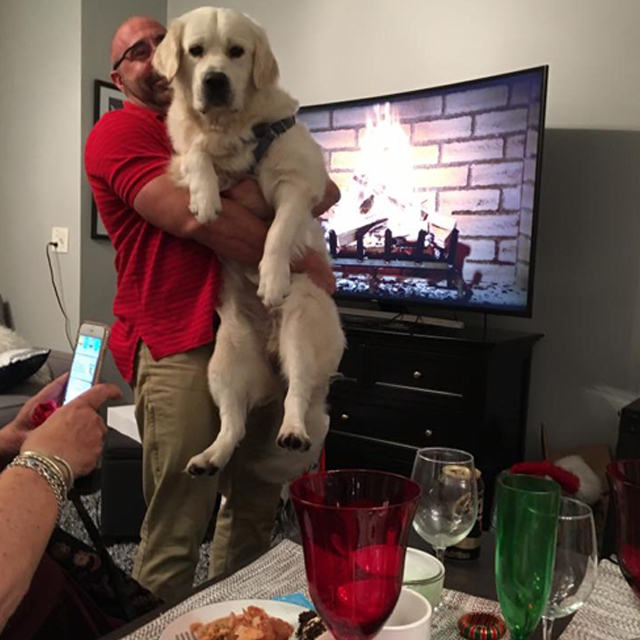 The last pic was on Christmas – he looks like a stuffed animal, only my brother has enough strength to pick him up! Happy new year! We would love to see pictures of Brody sisters if you can share.